In 1776, the English man of letters Horace Walpole observed a “rage of building everywhere”. At the time, the yield on English government bonds, known as Consols, had fallen sharply and mortgages could be had at 3.5 percent. In the “Wealth of Nations”, published that year, Adam Smith observed that the recent decline in interest had pushed up land prices: “When interest was at ten percent, land was commonly sold for ten or twelve years’ purchase. As the interest rate sunk to six, five and four percent, the purchase of land rose to twenty, five-and-twenty, and thirty years’ purchase.” [i.e. the yield on land fell from 10 percent to 3.3 percent]. David Glasner has posted his paper on “Hayek and equilibrium concepts” on SSRN. An earlier version of this fascinating paper was presented at the History of Economics Society in Toronto in 2017 and the NYU Colloquium. The now dominant Lucas rational-expectations approach misconceives intertemporal equilibrium and ignores the fundamental Hayekian insights about the meaning of intertemporal equilibrium. Historians of economics must resist the temptation to put their narratives into the service of ideology. The intriguing case of Friedrich von Wieser exemplifies the grave dangers involved for history of economics as a discipline and for Austrian economics as a respectable research program – but it also provides hints on how to immunize historical accounts from the dangers of hagiography and litmus-test purity checks. William Hutt (left) with F.A. Hayek. The public eulogies marking the passing of Nelson Mandela at the age of 95 on December 5, 2013 have refocused attention on the long struggle in South Africa to bring about an end to racial discrimination and the Apartheid system. Forgotten or at least certainly downplayed in the international remembrance of Mandela’s nearly three decades of imprisonment and his historical role in becoming the first black president of post-Apartheid South Africa is the fact that through most of the years of his active resistance leading up to his arrest and incarceration he accepted the Marxist interpretation that racism and racial discrimination were part and parcel of the capitalist system. Mandela was a member of a revolutionary communist cohort who were insistent and convinced that only a socialist reorganization of society could successfully do away with the cruel, humiliating, and exploitive system of racial separateness. With the fall of communism in Eastern Europe and the Soviet Union in the late 1980s and early 1990s, the communist model of socialist transformation was too tarnished and delegitimized to serve a as a guidebook for post-Apartheid South Africa by the time that Mandela assumed office as the first black president in that country in May 1994. Instead, Mandela’s government followed the alternative collectivist path of a highly “activist” and aggressive interventionist-welfare state, with its usual special interest politicking, group-favoritism, and its inescapable corruption and abuse of power. Its legacy is the sorry and poverty-stricken state of many of those in the black South African community in whose name the anti-Apartheid revolution was fought. But this did not have to be the road taken by South Africa. There were other voices that also opposed the racial and Apartheid policies of the white South African government, especially in the decades after the Second World War. These voices argued that racial policies in that country were not the result of “capitalism,” but instead were precisely the product of anti-capitalist government interventionism to benefit and protect certain whites from the potential competition of black Africans. Based on my non-scientific sampling of the morning talk-programs on TV, the “progressives” have discovered the law of unintended consequences. There seems to be universal agreement that if Obamacare is altered to allow people to keep their current healthcare insurance, regardless of whether it covers all of the contingencies the law has so far mandated, the entire Obamacare framework will begin to unravel. As Steve Rattner (of the auto bailout “fame”) admitted on the MSNBC program “Morning Joe,” the law is a complex web of interrelated provisions. Once you pick at one, the law may unravel. Let me take this opportunity to remind everyone of the famous passage from Adam Smith’s Theory of Moral Sentiments in which he sees so clearly the problem with statist redesign of social institutions. The man of system, on the contrary, is apt to be very wise in his own conceit; and is often so enamoured with the supposed beauty of his own ideal plan of government, that he cannot suffer the smallest deviation from any part of it. He goes on to establish it completely and in all its parts, without any regard either to the great interests, or to the strong prejudices which may oppose it. He seems to imagine that he can arrange the different members of a great society with as much ease as the hand arranges the different pieces upon a chess-board. He does not consider that the pieces upon the chess-board have no other principle of motion besides that which the hand impresses upon them; but that, in the great chess-board of human society, every single piece has a principle of motion of its own, altogether different from that which the legislature might chuse to impress upon it. If those two principles coincide and act in the same direction, the game of human society will go on easily and harmoniously, and is very likely to be happy and successful. If they are opposite or different, the game will go on miserably, and the society must be at all times in the highest degree of disorder (VI.II.42, Liberty Press edition). There really is nothing more to add. So I will not (for now). Nobel Prizing-winning Keynesian economist, Lawrence Klein died on October 20, 2013, at the age of 93. A long-time professor of economics at the University of Pennsylvania, he was awarded the Nobel Prize in 1980 for his development of econometric (or statistical) models of the United States “macro” economy for purposes of prediction and “activist” government policy making. He also was a senior economic advisor to Jimmy Carter during his successful run for the presidency in 1976, but Klein declined a position in the Carter Administration for fear of the negative publicity from his membership in the American Communist Party in the 1930s. What is less well known today is that immediately after World War II he was one of the great popularizers of the “new economics” of John Maynard Keynes, especially in his widely read book, The Keynesian Revolution, published in 1947. 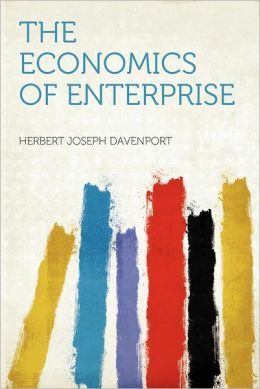 This year marks the hundredth anniversary of the publication of Herbert J. Davenport’s (1861-1931), The Economics of Enterprise, which appeared in the early months of 1913. Both mainstream economists as well as many “Austrians” seem to have long since forgotten Herbert Davenport. But during his time he was recognized as one of the early formulators of a subjectivist conception of opportunity cost, a harsh critic of Alfred Marshall’s attempt to partly preserve the “real cost” doctrine of the Classical Economists, and a lucid expositor of the central role of the entrepreneur in a dynamic vision of the market process. His earlier article, “Proposed Modifications in Austrian Theory and Terminology” (Quarterly Journal of Economics, May 1902), and his book, Value and Distribution (1908) were “friendly criticisms” meant to clarify inconsistencies or ambiguities in the “Austrian” approach with which he was, in general, highly sympathetic. Born in Vermont, he earned a PhD in economics under J. Laurence Laughlin (a strong defender of laissez-faire economics) at the University of Chicago, but was also influenced by (though critical of) Thorsten Veblen. For many years he served as the Dean and Department Chair of the College of Business at the University of Missouri. He later served as a professor of economics at Cornell University. Sir, John Kay (“Darwin’s humbling lesson for business”, July 3) makes good points about evolutionary theory and the social sciences. 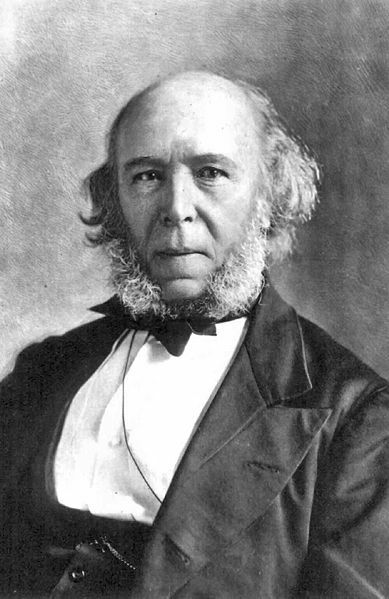 But he is wrong about Herbert Spencer, the noted English philosopher and evolutionist. Spencer was not a Darwinist of any kind nor an advocate of eugenics. He had his own theory of evolution that predates Charles Darwin’s publication of Origin of Species by a few years. Spencer was broadly speaking a Lamarckian. In other words, he believed in the heritability of acquired characteristics. He further believed that a free market would produce a discipline on individual actions that would, at once, make them more efficient and more moral. Since these traits could be passed on to future generations, there was no need for eugenics. The great economist James M. Buchanan died today at 93. I am still too stunned to write a proper appreciation of his tremendous contributions to economics and, indeed, to moral philosophy. There has been a lively debate on forecasts of high inflation made by those worried about the Fed’s recent policy of quantitative easing. For details I refer the reader to Daniel Kuehn’s excellent blog. The question to which I address myself is solely “What do these predictions have to do with core Austrian Business Cycle Theory?” This is my answer. What seems to be new is the “Divisa monetary indexes” which weight the different components of the monetary aggregates by their monetary services. In principle, this is what Milton Friedman talked about in his course “Money: The Demand Side” in the early 1970s. He said then that he thought it would be a good idea to weight the various components of the money supply by their “degrees of moneyness.” He did wonder, as I recall, if these weights would be stable over time. I could not let May 8th pass without writing something about F.A. Hayek, or rather my appreciation of Hayek. I have not been blogging recently because I have been working very hard researching and, at last, writing my book, with Glen Whitman, on behavioral economics and the new paternalism (no real title yet). Hayek helped me appreciate Ludwig von Mises who was rarely convincing to me. 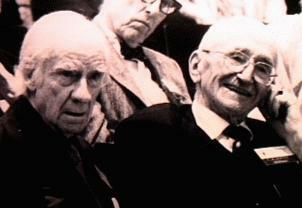 While Mises made many a grand assertion Hayek provided careful and subtle arguments. The often arrived at the same place but I found (find) Hayek more persuasive. I also preferred his softer style. I think the most important insight of Hayek was to understand that knowledge in any large society is decentralized. The most important function of social institutions is to mobilize this knowledge in such a way that it can been used by individuals in making their decisions. Thus: the impossibility of rational calculation under socialism (a conclusion Mises came to in a somewhat different way), the importance of the rule of law, the importance of cultural-social rules, and so forth. Compare that with, in my view, the misguided trivality of Paul Samuelson’s behaviorist theory of revealed preference or Richard Kahn’s mechanical multiplier or Maynard Keynes’s contributions to economic policy guided by his elite hand. I could go on. Note: I still think what Carilli and Dempster did, in giving this a game-theoretic formulation, is great work. I just see it is not quite as original as I had thought. Early in his career, long before he became a Nobel prizewinner and the household name for free market economist, Milton Friedman worked for the US Treasury. The following anecdote is from his 1998 memoir with his wife Rose, Two Lucky People. This revealing example of how public officials operate illustrates, in Friedman’s words, “the interaction between bureaucratic self-seeking and supposedly objective analysis.” It complements my previous post on whether politicians pursue the public good. Gripes about capitalism go back 150 years and more. In the Communist Manifesto of 1848 Marx and Engels thundered that the specter of revolution haunted Europe, that the periodic reappearance of commercial crises “put on its trial, each time more threateningly, the existence of the entire bourgeois society.” They were not the first to assail the system and were followed by numerous others spanning the political spectrum. Thus the Financial Times recently started a series on “The Crisis of Capitalism.” Europe suffers from a sovereign debt crisis due to over-spending by governments—why is that the crisis of capitalism? But one should not quibble. It is an old tradition. In the 1998 turmoil brought on by Russia’s default on its bonds and the failure of a large hedge fund, commentaries appeared bearing titles such as The Crisis in Global Capitalism, Global Capitalism RIP, Collapse of Capitalism, Who Lost Capitalism? and The Free Market’s Crisis of Faith. In 1930, John Maynard Keynes dashed off an amazing prophecy. Extrapolating from the productivity gains of the past centuries, he came to the bold conclusion that the fundamental economic problem of scarcity would fade away in 100 years or so. Thanks to technological innovation and the accumulation of capital, the ancient condition of limited resources to satisfy competing wants would give way to a new age of plenty. Human beings would then face a very different quandary, namely what to do with themselves once they no longer have to work in order to survive. Although by the standards of contemporary economics, I am a historian of economic thought, I am not a historian of economic thought, properly considered. Thus my major interest in F.A. Hayek’s business cycle theory is not from the point of view of a historian. My interest is only incidentally in how Hayek’s contributions were perceived in the 1930s and 1940s, especially in light of John Maynard Keynes’s Treatise on Money and General Theory. I am interested in Hayek’s business cycle theory because I believe it has much to teach us today – both in the style of reasoning it embodies and for its substantive points. Of course this is not to say that Hayek’s approach cannot be improved upon and revised in light of more recent theoretical and empirical developments. In the last two days, two prominent economists have asked me essentially the same question: what is the difference between Chicago and Austrian economics? It is interesting that both asked, particularly since one has a Ph.D from Chicago. The second economist asked me specifically if Armen Alchian wasn’t really an Austrian. I’ll respond as I did to him. I learned most of my Austrian economics in the UCLA graduate economics program. (At that time, UCLA was known as Chicago West.) I was never an Alchian student, but one read lots of Alchian anyway. And his influence pervaded the department. It was obvious to me that Mises had influenced Alchian. Also Hayek, as is made clear in a video of Alchian interviewing Hayek.